A Fantastic transposition effect where a one dollar bill magically changes places with a five dollar bill! 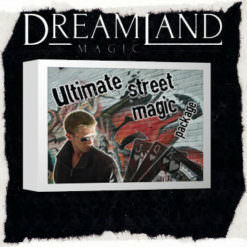 Effect: The magician takes out a five dollar bill and a one dollar bill. 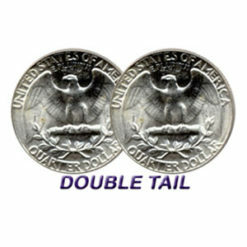 Holding a bill in each hand, the magician then folds the bills into halves, then quarters. 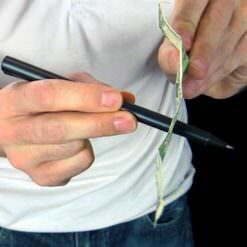 The magician places both bills in the spectators palm and then has him/her close their hand. 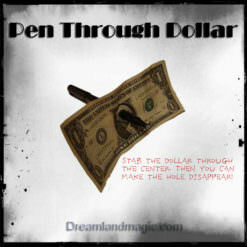 The magician reaches into the spectators closed fist and then removes the one dollar bill. 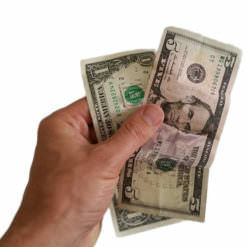 The spectator is left with the folded five dollar bill closed in his/her fist. The magician waves his hand and states the bills have changed places. When the spectator opens his hand they will find the one dollar bill, and then the magician opens his/her hand and shows the five. The bills have magically changed places! Both bills are unfolded and placed back into the magicians wallet. You can have the bills change places as many times as you want. You can have the bills change just in your hand like in the video clip or you can do it in a spectators hand. At the end of the trick you can hand out the bills for inspection!! You will be sent the instructions in PDF format which also includeds a video to teach you step by step. The instructions can easily be printed. This is the standard E-book format that can be viewed with the free Adobe Acrobat reader. The instructions are written and illustrated very well so it is easy to learn. Instructions can be printed. 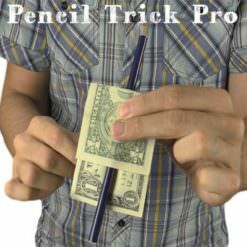 This is a trick that can be easily constructed at home in just a few minutes with your own money after viewing the instructions. After the payment you will be emailed instructions for the download. No need to wait for weeks to receive an item in the mail Also this item has no shipping charge! The manuscript will teach you step by step how to perform this illusion. 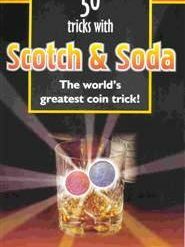 The trick does not require complicated sleight of hand. It can be learned quickly and easily. 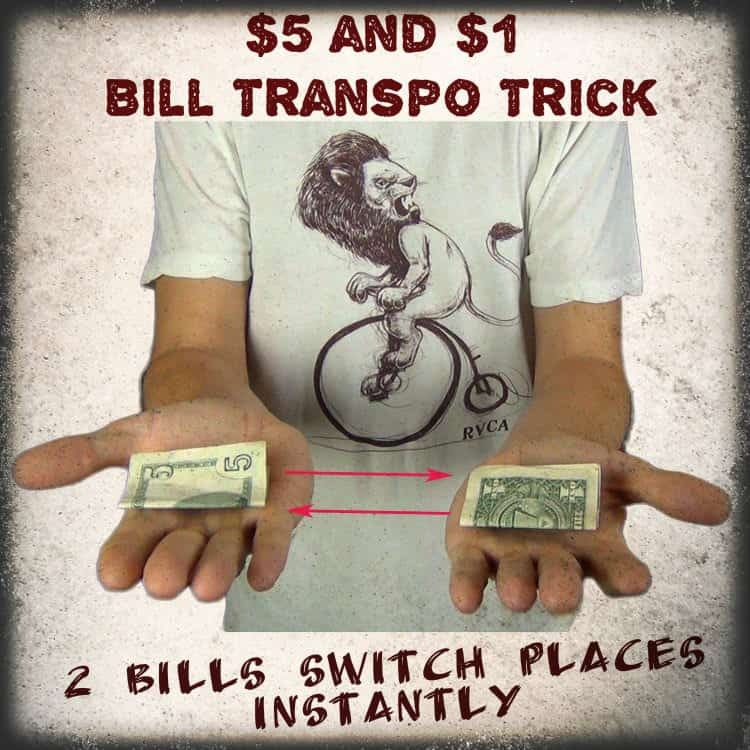 Great trick as it can be carried with you in your wallet and performed at any time. 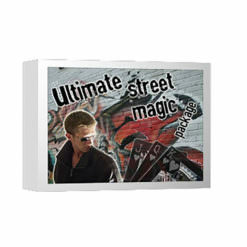 Instantly resets so it is great for walk around or street magic. 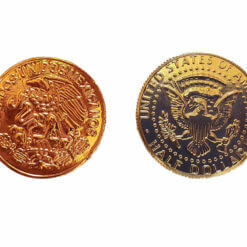 Will work with the new or old five dollar bills. It is recommended for ages 7 and up. 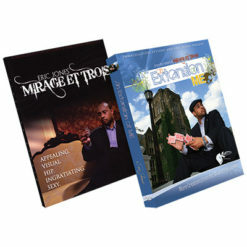 The Magic trick is sent to you as a PDF file and you will get access to the video explanation. *If you have other physical items that need to be shipped in your shopping cart, the file will be automatically emailed when the entire order is packaged. If you only order downloadable products the file will be sent after your order is placed. 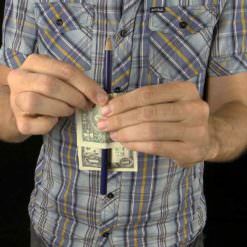 This is an amazing trick that, when done properly, wows and audience. 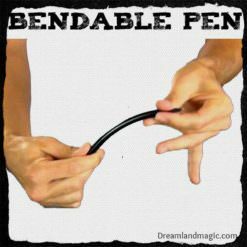 Be prepared to destroy some money in the arts and crafts portion of preparing the gimmick. 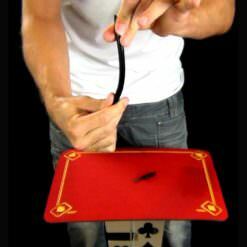 Awesome trick. Easy to carry in my wallet. Still working on perfecting the trick. Amazing Trick. Fools everyone. Totally worth the $5. It is well thought you and blows minds. 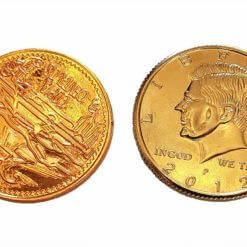 However, my suggestion is to have your $5 dollar bill out, and borrow a $1 dollar bill. That is how I perform it.